I want you to consider this hypothetical situation. This is a 30 Panel Rooftop Solar Installation. Image courtesy of Braemac Corp. The Utility Company that supplies the electrical power to your house calls you and tells you that they are going to raise the cost of the electricity they supply to your house, and not by the incremental small percentages that it does creep up by, but this time they are going to triple the cost. Take out your recent electrical utilities account, and multiply that by three. That’s how much your new account will be. How happy would that make you? This is a hypothetical only, but I want you to keep that in mind because I will directly come back to this exact situation later on in this post. Household Solar power consists of those panels on your roof. The Sunlight generates a tiny amount of electricity in the small cells in the panel. Hundreds of those small cells are connected together in the one panel, so that the small amount of power is increased, and having more than the one panel means that an even larger amount of electricity can be generated. This then has to be converted into the power you use in your house, in other words the same as power supplied from the grid. This is done with the use of an Inverter which changes the DC induced in the cells by the sunlight into the AC supply you use in your house. You may think that Australia is an ideal place for households to utilise this form of power production for your household needs, and even though this form of power has been in use now for decades to provide power for hot water systems in a household application, they are now coming into vogue for supplying other electrical needs for that household application. Those who are from the environmentalist side of the fence are the ones you see touting for these systems to be used on a more widespread basis, and you hear wonderful stories of just how effective they really are, that they supply free electricity, enough to power your whole house, and that they pay for themselves in a relatively short period of time, and the excess is fed back into the grid itself, and the Authority even pays you for the power you produce. Having worked in the electrical field for more than 25 years, and having spent 6 of those years teaching the trade, it intrigued me as to why these claims gain widespread belief that they actually can do this. As you may understand these systems are not cheap. 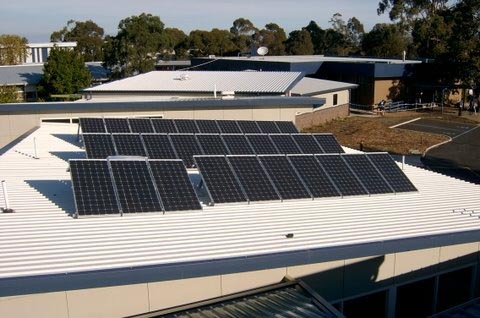 Here in Australia, there are many distributors for these systems and this link shows just one of those, and the prices shown here are fairly representative for nearly all of the Companies providing these rooftop systems. At that link, scroll down almost to the bottom of the page and then click on the image that is titled View Our Remote Area Pricing Guide. What you are looking for is in the column titled Typical Installed Price, the fourth column from the left. The one I will direct you to is the one second from the bottom. While the average residence consumes around 30KWH of power a day, this system will generate around 20KWH. It has 24 panels, each panel generating 225 Watts for a total power of 5.4KiloWatts, and the Installed cost is $72,210. The second column shows the amount of power it can feasibly supply on a daily basis, that being 20KiloWattHours. (KWH) Why I selected this one is because that is the closest to the amount of power that is used on average each day in an average household application, and that is shown at this link, from the U.S. Government’s own site, The Energy Information Administration. That number is shown at the bottom of that chart there, second column in from the left, and indicated as 920, that being the U.S. monthly average power consumption, translated down to around 30KWH per day, so a Solar System of this size could realistically supply that total. Residential power consumption is approximately the same for all areas supplied with a constant and reliable source of electrical power, and the same average would also apply here in Australia. However, that’s not the full story. Because they are in fact so expensive, then not very many people can actually afford that type of outlay, so to make them somewhat attractive, they need to have a large subsidy attached to them. In other words, because you show your environmental concern by doing something like this, then the Government rewards you for doing it. In the case of this system, that rebate from the Government amounts to around $4200, which is around 6% of the overall cost, and this subsidy has come down as the price of these systems has increased over the years, because originally that subsidy amounted to almost 20%. With this subsidy, this now brings that end cost down to just under $68,000. Rebates vary depending upon the size of the system you have. That price is still a long way out of reach for most people in general suburbia, in fact the cost of a large car, or even an SUV. At that price, not many people would be that environmentally conscious to go down that route. Also, to make it further attractive to those who do purchase something like this, the Government will then pay you for the electrical power that is generated by the panels and not consumed by you during the day. This is called a ‘feed in tariff’. To make it attractive, they then need to make that feed in tariff so that it actually amounts to something, so that tariff amount is set at around three times what you actually pay for the electricity you consume from the grid. This usually amounts to an amount 2.5 to 3 times the price you pay for your power, and even though this is from Australia, this link shows those current feed in tariffs in each of those Australian States, all between that figure, more in the Northern States than in the Southern ones, because the Sun shines brighter and longer in the North here in Australia. This is where the analogy I alluded to at the top of the post comes in. If the Utility Company told you they were increasing the cost of your electricity by a factor of three, you would be suitably outraged, but the only way they can actually make these systems attractive is to pay you that amount. See the double standard here. You would be absolutely outraged if they did it to you, but then you think it’s okay to accept that when it’s going the other way. It’s a fact of life. It’s the only way they can actually make these things attractive. To give you great wads of money, and then say it is the environmentally conscious thing to do. So let’s look at it if there were no subsidies and use the same standard for you selling the extra electricity at the base price that you pay for it. To do that we need to understand electricity consumption using this household solar application. It only produces electricity while the Sun is actually shining. It will provide the household requirement during that time, but as soon as the Sun sets, it stops producing electricity completely. For all your household needs now, you need to be supplied from the grid itself. So, as you can immediately see, you are not ever supplying all your household needs at any stage. The bulk of electrical power usage is in those hours immediately after Sunset. You and your family arrive home from work and school. You shower, using hot water which then has to be reheated. You do the clothes washing, you cook your meals. If it’s cold you turn on the heat. If hot, then the air goes on. You watch TV, turn on the lights, and on it goes. During the day, the only power being consumed is for the Fridge and to top off the hot water system as it cycles, and other small amounts of power being consumed. The vast bulk of power being consumed is from the grid, so, even though you may think of it as being environmentally conscious, you are in fact consuming power from the grid itself. You also need to understand exactly how power is being generated, supplied to the grid, and then consumed. That power always has to be there, You draw it down from the existing supply on the overall grid. To supply the vast bulk of that immense amount of power, large coal fired power plants hum away all day every day at the same rate, because they cannot be run up and down at a moments notice, and to keep them running at that huge rate, this is when they are at their most efficient. They supply power to the grid. The vast amount of consumers on that grid then draw it down. At ‘Peaking Power’ times, from 4Pm until 9PM, then smaller, mostly Natural Gas fired plants can be run up to speed, because that’s the best design for these, and also their best application, as they can be run up and down at short notice, and only run for a short period of time. These plants then top up the power supplied to the grid, and then you, as consumers draw down on that. It’s always there, so the amount of power available on the grid is always a percentage higher than is actually being used. If you have a large household system that supplies power TO the grid during the day, the amount you supply is so minute as to be almost non existent, and is not even taken into account in the planning for power consumption. That average U.S. power consumption amounts to an annual outlay of $1200, also shown on that same page at the same link as shown above, that amount at right coming in at around $100 per month, and keep in mind that data lags the current data which prices electricity higher again. You power consumption is around 33%/67% on a Day/Night basis. So, assuming you have this large system and you feed some power back to the grid, say a large proportion of that near 40%, you are still using power during non daylight hours. So, the cost of your Utilities bill for electrical power decreases commensurately, say by one third. So here you have a saving of around $400 a year. The original outlay was $68K, so to recoup that amount, it will take nigh on 100 years. Now perhaps you can see why they give hugely generous rebates at the front end, and also as a feed in tariff. With the three times feed in tariff, that yearly cost is now virtually equalised, because the amount you pay for the power you consume after Sunset is covered by the amount you receive for that you feed back to the grid. That means effectively that you do not pay for electricity at all. So, that saving is now all your electricity bill, all $1200 per year. With the subsidy reducing the initial cost now to $68,000, it means the system will now pay for itself in 57 years. The systems have a guarantee period in the main of between 20 and 25 years, so as you can see, they will be well beyond time expired at around the time you finish recouping your initial outlay, because that is effectively how long these panels will last. If you read all the information at all the sites on offer, you will find they also mention that you introduce measures to reduce your overall consumption, and here in Australia, that would mean things like not having Airconditioning in the extremely hot Summer months, or heating in the Winter months. It would also include other measures like showering only in daylight hours to minimise the use of electrical power from the grid to heat the water in your hot water system. Other measures might include a smaller refrigerator, a smaller hot water system, changes to your lighting and lighting habits, (minimal effect from this, as household lighting only consumes 8% of all household power) smaller ovens and hot plates, used less often, and other measures like completely insulating your house. As is also now obvious, that 56 year period to recover the costs binds you completely to living in that same house for that period of time, because to move house, you can’t really take it with you, well maybe, but then there’s the cost of de installing it completely, and then re installing it at the new house. They also advise you to keep the panels clean, and by clean, the actual intent is completely pristine, because any dust or smearing from rain will decrease the efficiency of power generation. So that means getting up on the roof once a week or so to polish the panels perfectly clean. Don’ even bother to think about them in the cold North East of the U.S. where for three to four months a year they will not be producing one volt let alone the full 5.4 KW. So as you can see from this the only thing that they actually are is revenue neutral. You are still consuming power from the grid. Again, I purposely selected this large system to show some equality. If the Suns shines all day every day at it’s brightest with no clouds, (when you will lose 30% of your generating capacity immediately, not recovering until long after that cloud has gone) then this system will produce around 20KWH per day. The average power consumption for a U.S. household is 30KWH per day, so there are some who might argue that you are almost producing what you use on an everyday basis. Again, the excess you produce during the day is fed back for consumption by the grid. That grid is not storing that power on your behalf, and then graciously giving it back to you after Sunset. You are using electrical power from the grid. That grid is not your private battery where you can store that power for later use. Also, you are being paid for that return of power to the grid, so you cannot have it both ways. You are still consuming power during that Peak Power period as you always have. The excess power you produce is not even being taken into consideration by the grid planners. So, when these people who trumpet how good all of this really is, be fully, and absolutely aware that it is all just spin. If there were no huge Government subsidies and no large feed in tariffs, then they would be all but completely useless. You could cover every roof in the Country with as many panels as would fit, and it would not make the slightest difference. These are an immensely costly item that produces minimal electrical power on a limited basis, and no amount of hype will make them anything more than that. When someone tells you that they produce all the electrical power you might use in a household application, keep right in the front of your mind that the only thing that they are is REVENUE neutral, and that is only if you take something, (the tariff) that you are not willing to pay for if it was the other way round. You are still using power from the grid, and more than you can ever produce from a system like this.